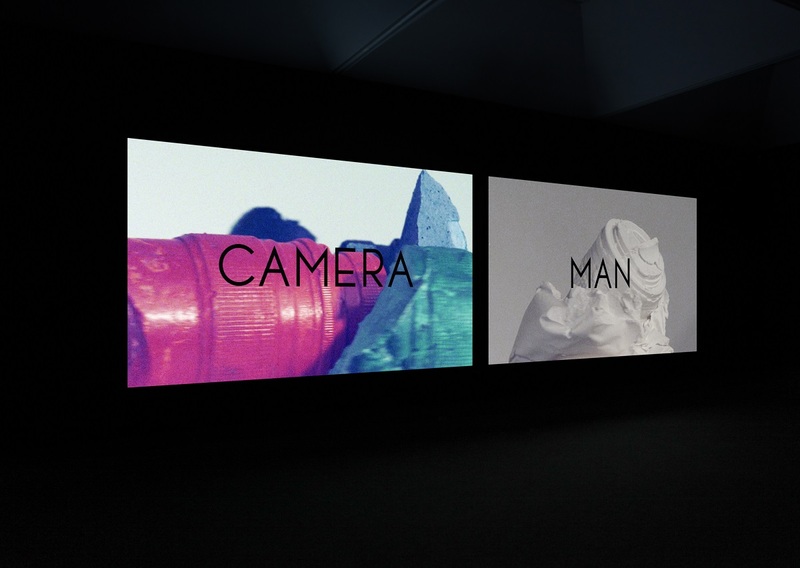 Sam Smith, _Cameraman_, 2010, 2 x synchronised HD projections, 31 minutes. Image courtesy the artist. installation view Albury Art Gallery, 2012. Image courtesy Albury Art Gallery. How Yesterday Remembers Tomorrow featured work by six contemporary Australian artists and artist partnerships who are past recipients of the Helen Lempriere Travelling Art Scholarship for emerging artists. Presenting early works alongside more recent projects by each artist and artist partnership, the exhibition offered a unique insight into the conceptual and artistic development of early career artists, highlighting how artists’ practices develop over time through sustained research, experimentation and refinement. The exhibition encouraged us to rediscover the past in order to look to the future. Featuring work by Lauren Brincat, Sean Cordeiro & Claire Healy, Todd McMillan, Ms&Mr, Tony Schwensen and Sam Smith, and ranging across photography, drawing, digital video and installation, the exhibition provided stimulating commentary on an array of current social and political issues, shedding light on the concerns of young artists today. How Yesterday Remembers Tomorrow is supported by the NSW Government through Arts NSW as a result of the Visual Arts and Craft Strategy. An Artspace exhibition toured by Museums & Galleries of NSW.